When people think of university sports, it’s often the varsity sports of football, hockey, basketball and volleyball that come to mind. With the exception of football, these sports are followed religiously at Ryerson, leaving other sports without the attention or exposure that they might deserve. One of those sports happens to be fencing. It’s a sport that tends to fly under the radar in Canadian university sports. This Olympic sport requires immense training, concentration and skill that only a select few are able to exhibit. Despite having a range of players who can come in all shapes and sizes, the players don’t match up by weight. Instead, they focus solely on age. Kis-Toth, who took home a silver medal in an individual event and a bronze in a team relay, also says that the mental aspect is something that can truly separate the individuals that are competing with each other. “The difference between fencers is how you let losing a point affect you mentally,” she added. Fifth-year aerospace engineering student Raminderpreet Singh Khaira, known as ’Rami’, also got into the difficulties of the sport. 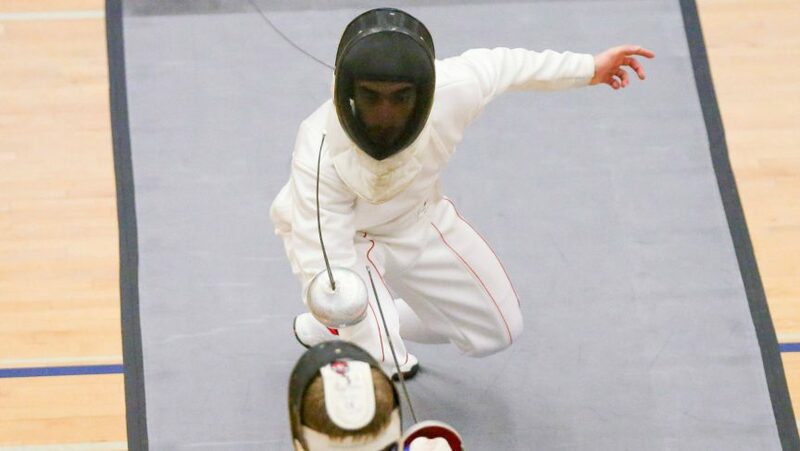 This year, Ryerson’s fencing team has had consistent success. They are a top contender to win the Ontario University Athletics (OUA) title banner this year. Every year, from 2015-2018, at least one member of the team won an individual gold medal. A Rams fencer wouldn’t grab gold this season, but they still had success as first-year fencer Alexander Zwegers captured a bronze medal. On average, the assumption is that the older one will beat the younger one. According to Kis-Toth, however, it’s never a given since the younger one could be more agile and precise. The preparation for competitions is very time consuming. Fencing has a lot of waiting involved in it, as referees and judges have to go through the results to pair people up. Due to the long wait times, fencers have to keep their mental game and focus in check. A fencer could be at the venue for 10 hours, yet only fence for 45 minutes total. Which, as Kis-Toth says, forces you to keep your mental game in check. At the end of it all, both Kis-Toth and Rami expect the same thing for their sport. As they continue to succeed on campus, they expect fencing to rise up the charts—one point at a time.